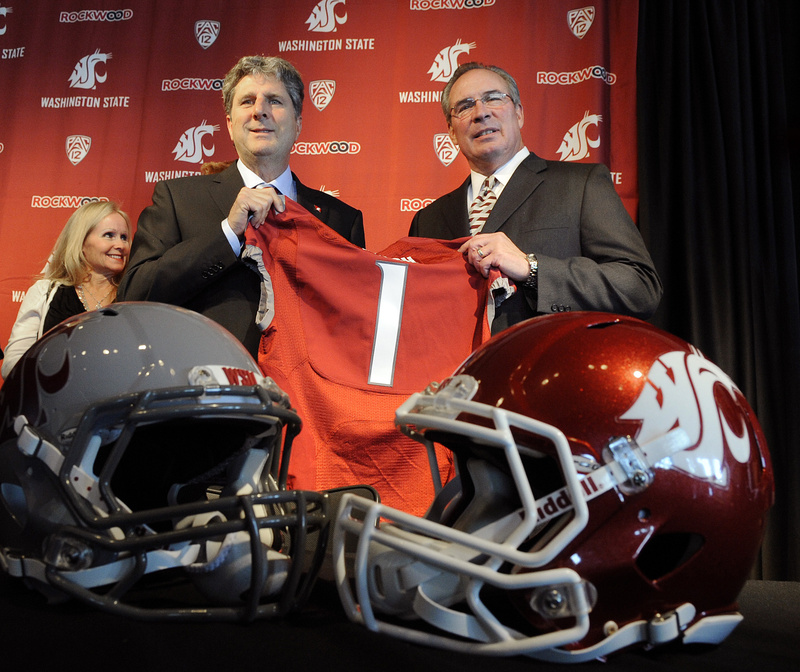 Fri., Jan. 9, 2015, 11:28 a.m.
We reported awhile ago that Bill Moos planned to allow Mike Leach's contract to roll over, in effect extending it until 2019. Because we've been getting some email about the subject recently I thought I'd put up this post to remind people that it happened. Leach's contract has a provision that states that it automatically renews the length at five years on Jan. 1 of each year unless either Moos or Leach provide written notice stopping the automatic extension. The extension also resets the clock on both the buyout Leach would have to pay to pursuit another job ($2.25 million if he leaves in year one of the contract) and the buyout the school would have to pay to terminate his contract without cause (60 percent of the base salary due for the remainder of the agreement).